“Fed Chair Janet Yellen gave a balanced assessment of the labor market in her keynote speech at Jackson Hole last week, according to Standard and Poor’s Economics. She said there is no “simple recipe for appropriate policy.” She indicated that the economy is improving and that the FOMC now is questioning the degree of slack, and repeated that faster progress toward the employment and inflation goals could speed up rate hikes. She also reminded us that if progress is disappointing, then the accommodative stance could remain intact longer. In other words, the Fed remains data dependent. What does all this mean for the timing of the exit from zero interest rates? We still think it is likely to come sometime in the second quarter of 2015. Now let me translate. The consensus amongst Wall Streeters is that rates will increase in the second quarter of next year. This is a case where perception is far more important than reality as this could change if the economy progresses or regresses at a faster pace than anticipated. So “Data dependant” means that moderately bad economic news – the economy is growing, but at a slower pace than expected, will continue to be good news for the market as that would lessen the odds of a near term rate increase. But really bad news, as in recessionary news, or really good news (faster economy = faster rate increases) will be bad news for the stock market. In other words, we are in the bad news is good news market cycle. Without extreme news, expect a continuation of the stock market rally from here into the end of the first quarter of 2015. The key to a rally continuation will come from first quarter 2015 earnings results. The question will be if an accelerating economy and theoretically rising sales can offset rising pressure on wages and rising costs from interest expenses. 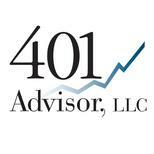 401 Advisor, LLC’s position in our Dividend Income Plus strategy is currently 100% invested, with a rotation to what we deem to be higher quality issues. While the media focus is on the middle east and domestic turmoil, the real issues are Europe’s economy heading to recession, and China’s aggression in the far east. We’re invested…but nervous with the bailout plan in place.